Below are the Top 5 items from September 2018. Since becoming Speaker of the Assembly, Carl Heastie has made it a priority to visit every part of the state, but especially Upstate. On September 21st, Speaker Heastie rounded out his Upstate summer tour by visiting Broome County. He announced that he would be nominating the SUNY Broome Culinary Arts & Events Center at the former Carnegie Library for $1.5 million in grant assistance. Because of the historical nature of the building, the additional funds are needed to complete the project. Local food is a main focus of our regional economy and this new facility is expected to play a very important role. 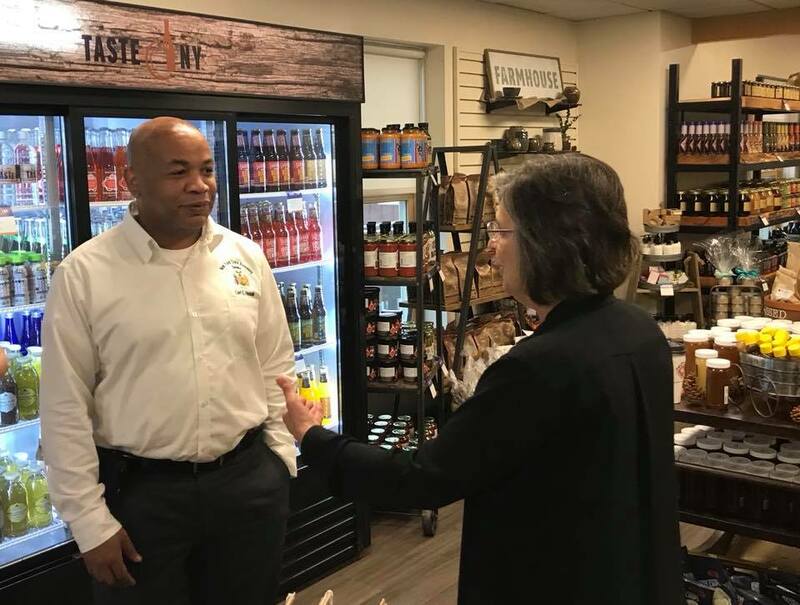 Assemblywoman Lupardo and Speaker Carl Heastie visit the Taste NY Store at the Agriculture Development Center. The Speaker also had the opportunity to see the Broome County Regional Farmers Market and Agriculture Development Center at Cooperative Extension, tour new developments in Johnson City including the Goodwill Theatre, and stopped by one of our great craft breweries. He had a great time, even taking in the “4U Prince Show” at BU. Restoration on a Johnson City landmark has begun. On September 12th, I joined Johnson City Mayor Greg Deemie to announce details of the rehabilitation of the Endicott-Johnson Pump House Pagoda. I was able to secure $125,000 to support this project that includes a new roof, windows and door, a patio with seating, and outside lights. Inside the pagoda, repairs to plasterwork will be completed and additional lighting will be installed; display cases will also be mounted on the walls to showcase E-J and Village artifacts. This historic structure was built in the 1920s; E-J workers included quite a few items from local factories and recreation centers in the building’s masonry. This is a part of the Endicott-Johnson story that I have long hoped could be preserved. After its full restoration, the pagoda will be open to the public during park hours and during special events at the CFJ Park. 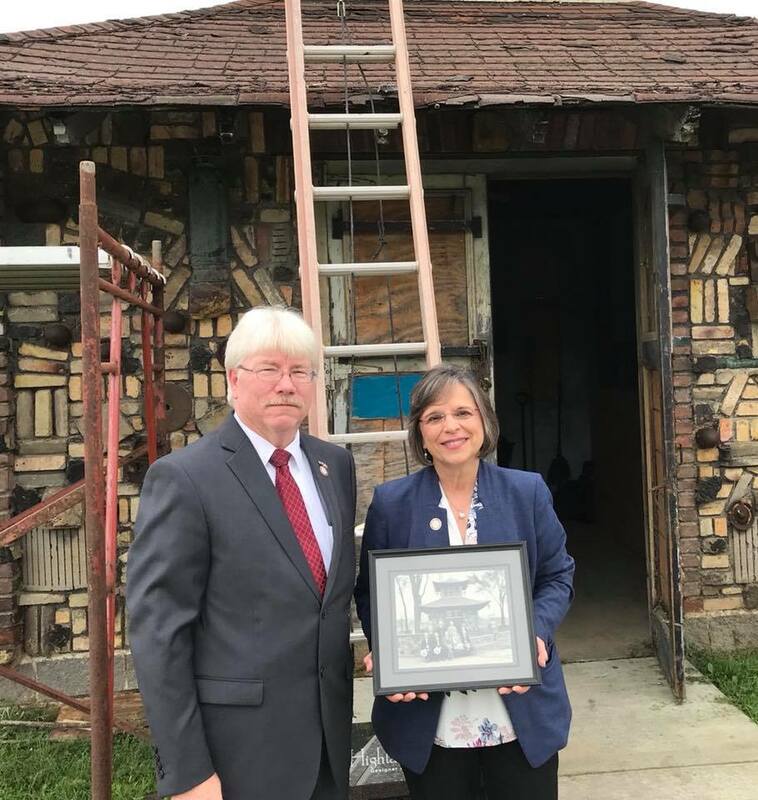 Johnson City Mayor Greg Deemie & Assemblywoman Lupardo at CFJ Park’s historic Pump House Pagoda. As part of the Southern Tier’s winning Upstate Revitalization Initiative in 2015, a $20 million Greater Binghamton Fund was created. 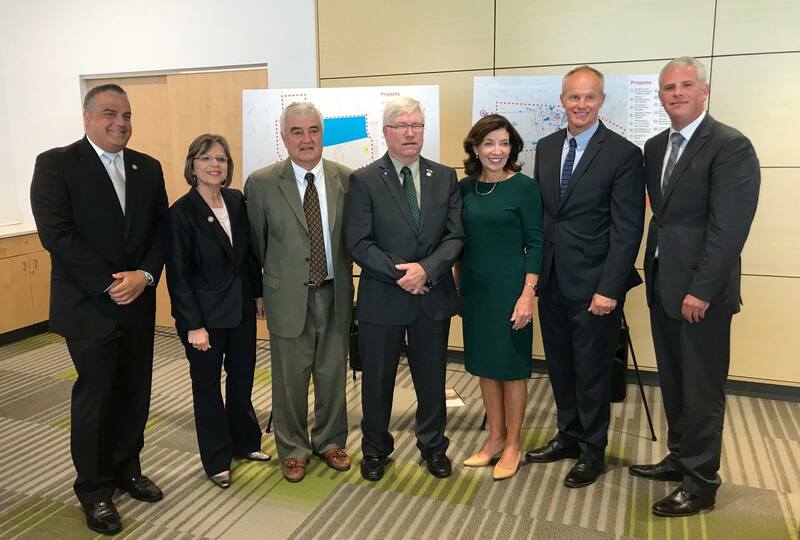 This funding was designed to specifically target transformative projects in the URI’s three innovation districts, known as the “iDistricts.” I joined Lieutenant Governor Kathy Hochul on September 25th as 32 funded-projects were announced. Plans range from business expansions, housing and commercial space, recreational trails, and streetscapes. The economic health of our region is directly linked to Broome County’s urban core; these targeted developments build on our community’s strengths and also directly addresses the goals of the iDistricts. For a complete list of awarded projects, click here. Assemblywoman Lupardo, Lieutenant Governor Kathy Hochul and local officials at the Greater Binghamton Fund announcement. Another former industrial site is getting new life. On September 19th, I helped break ground on the Ansco Camera Factory in Binghamton; when completed, the rehabilitated building will feature 100 lofts and 85,000 sq. ft. of commercial space. The factory was built in 1927 for the General Cigar Company and then became home to Ansco in 1937, which operated there for 40 years. It was added to the National Register of Historic Places in 2012. Redeveloping this snapshot from our past is the latest example of our efforts to re-imagine former industrial sites as new community anchors. 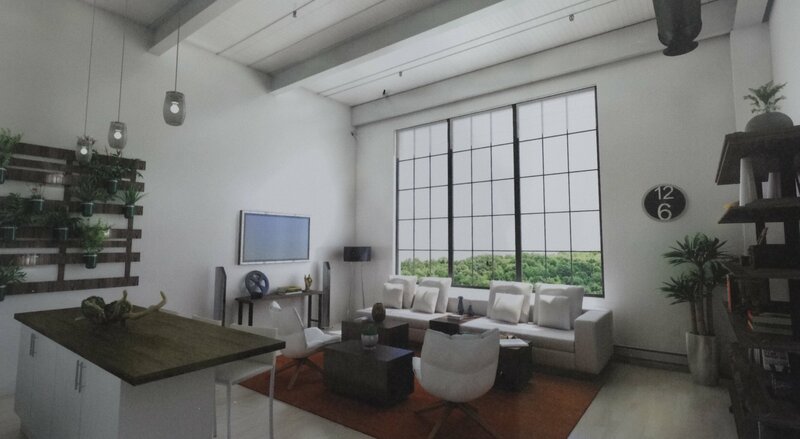 A rendering of one of the new housing units at the Ansco Camera Factory. 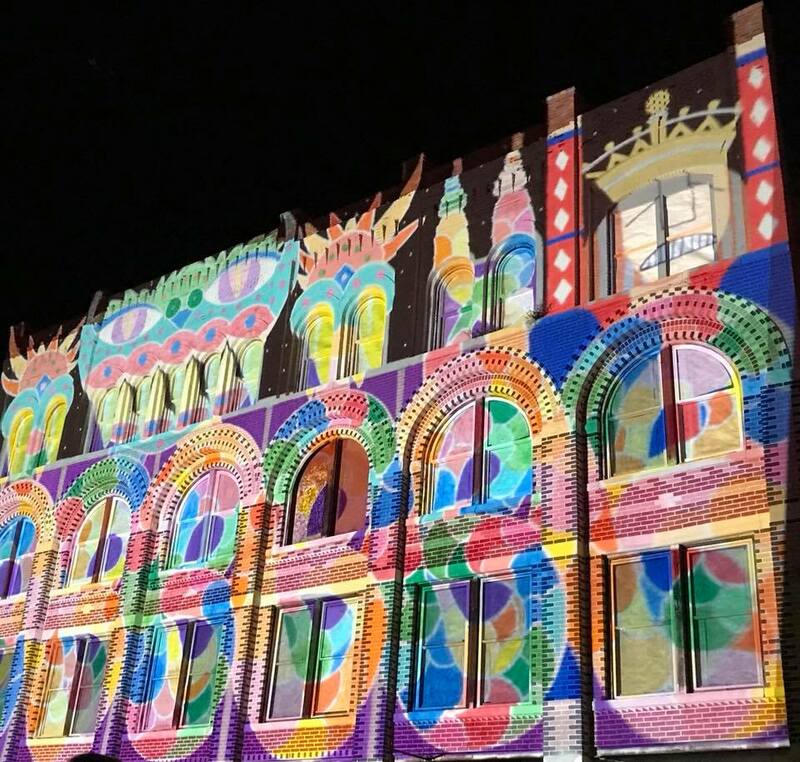 One of the LUMA shows projected on to 196 State Street.